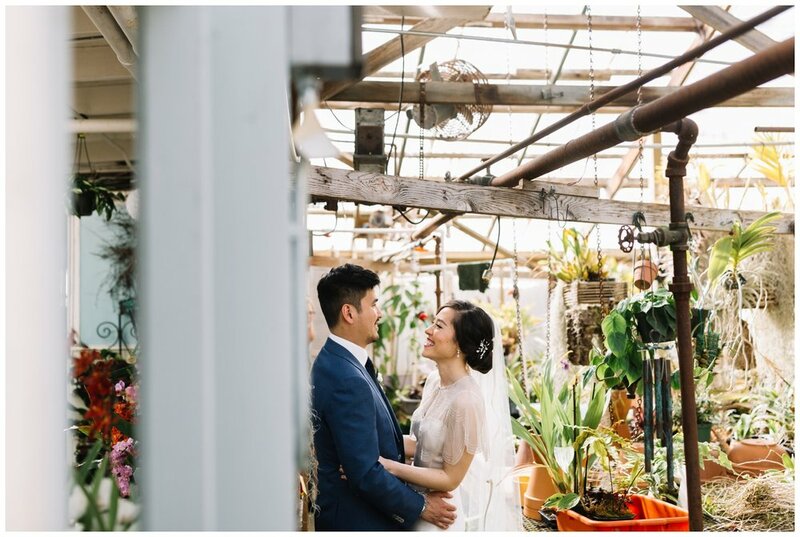 I've always wanted to shoot a greenhouse wedding, so when Michelle reached out to me about shooting her wedding at Shelldance Orchid Gardens in Pacifica, I was so excited! I loved all the lush greens and the beautiful soft light that were perfect for pictures. 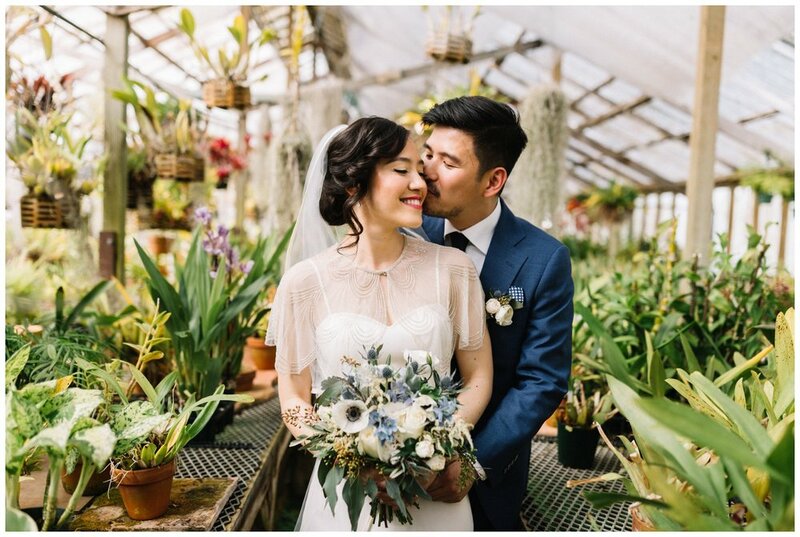 Michelle told me that she has a passion for growing orchid and nursing them back to life, so the venue was not only just gorgeous but it also meant a lot to her. The wedding was intimate with 70-80 guests and I loved seeing Michelle and Yee being able to spend quality time with their guests on their big day. These smaller weddings are really speaking to me! Also this wouldn't be a San Francisco wedding without milk tea from Bobba Guys right? It was such a hit!